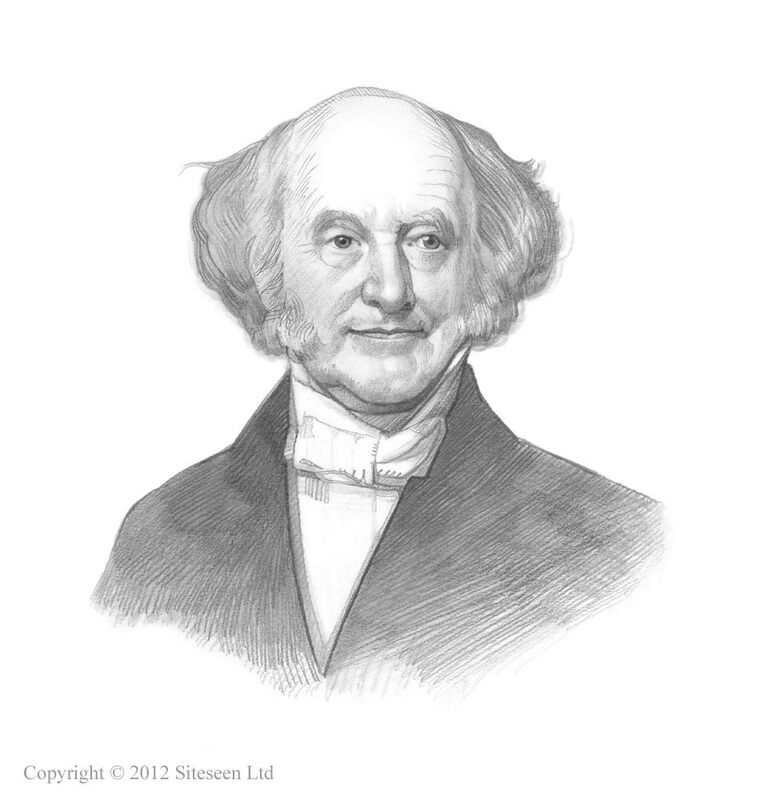 Aroostook War: Martin Van Buren was the 8th American President who served in office from March 4, 1837 to March 4, 1841. One of the important events during his presidency was the Aroostook War. Summary and definition: The Aroostook War was a bloodless border conflict during February to May, 1839 between the U.S. state of Maine and the British Canadian province of New Brunswick who both claimed rich timber land in the highlands area known as Aroostook. It was an undeclared War and the Maine-New Brunswick boundary was eventually settled by the Webster-Ashburton Treaty of 1842. "From the northwest angle of Nova Scotia, to wit, that angle which is formed by a line drawn due north from the source of the St. Croix river to the highlands, along the said highlands which divide those rivers that empty themselves into the St. Lawrence, and those which fall into the Atlantic ocean, to the northwestern most head of the Connecticut river." The description of the borders was very unclear. The reason for this was because the vast interior of the region had neither been explored nor mapped. The basis of land claims in the Aroostook War dispute was based on the 1783 Treaty of Paris. Other treaties had been made clarifying borders such as the 1794 Jay Treaty nor the 1814 Treaty of Ghent. The Treaty of 1818 set the 49th parallel as the border with Canada from Rupert's Land west to the Rocky Mountains but the area of Aroostook was left undefined. In the event that the commissioners disagreed, The British and the Americans agreed to put the decision in the hands of "some friendly sovereign or State"
Maine became a state in 1820 and began granting land to settlers in the Aroostook Valley, ignoring British claims. The situation became more antagonistic. The "highlands" boundary separated rivers draining into the St. Lawrence from those entering the Atlantic. Maine insisted this height of land was north of the St. John River, whilst New Brunswick insisted the Penobscot watershed was the boundary line. The increased American settlement in the 1820s brought further tensions to the area, and these were made even worse when lumberjacks from Maine and New Brunswick converged on the timber adjacent to the Aroostook, Allagash, and St. John rivers. The Commissioners attempting to agree the borders could not come to an agreement and put the decision in the hands of "some friendly sovereign or State". In 1831 King William I of the Netherlands was called upon to make an arbitrary decision on the disputed boundary. The Rebellions of 1837 were two armed uprisings that took place in Lower and Upper Canada in 1837 and 1838 leading to the Caroline affair that strained relations between the United States and British Canada even further. The British accepted his decision but Maine were extremely unhappy, pressured the government and the US Senate rejected the arbitration decision. This sparked the International Incident known as the Aroostook War. The Neutrality Law of 1838 was passed empowering civil authorities to prevent border excursions. The following fact sheet contains interesting facts and information on Aroostook War. Both Maine and New Brunswick called out their militia. The agreement averted all military action.